Chia seeds swell up to form a thick gel when water is added and this gel is great for clearing toxins from the intestines, helping you to feel fuller for longer and reducing digestive transit time. These benefits make raw chia seeds a great natural aid to detoxification and weight loss. Create your own healthy drinks, breakfasts and puddings with an injection of chia seeds and experience the difference for yourself. 2 tablespoons has 139 calories, 4 grams of protein, 9 grams of fat, 12 grams carbohydrates, 11 grams of fibre plus a selection of vitamins and minerals. The mild, nutty flavour of chia seeds makes them easy to add to food and drink - most often sprinkled on cereal, with vegetables, rice dishes, or yogurt or mixed into drinks and baked goods. Chia is the richest plant source of healthy Omega-3 oil which is important for heart and cholesterol health. It’s also recently been targeted as a weight-loss helper due to helping you feel full. Chia is a source of complete protein, meaning that it contains all amino acids necessary for protein in the body. By weight, chia has more calcium than whole milk and also has magnesium and boron, essential trace minerals which are needed for calcium absorption and other vitamins. 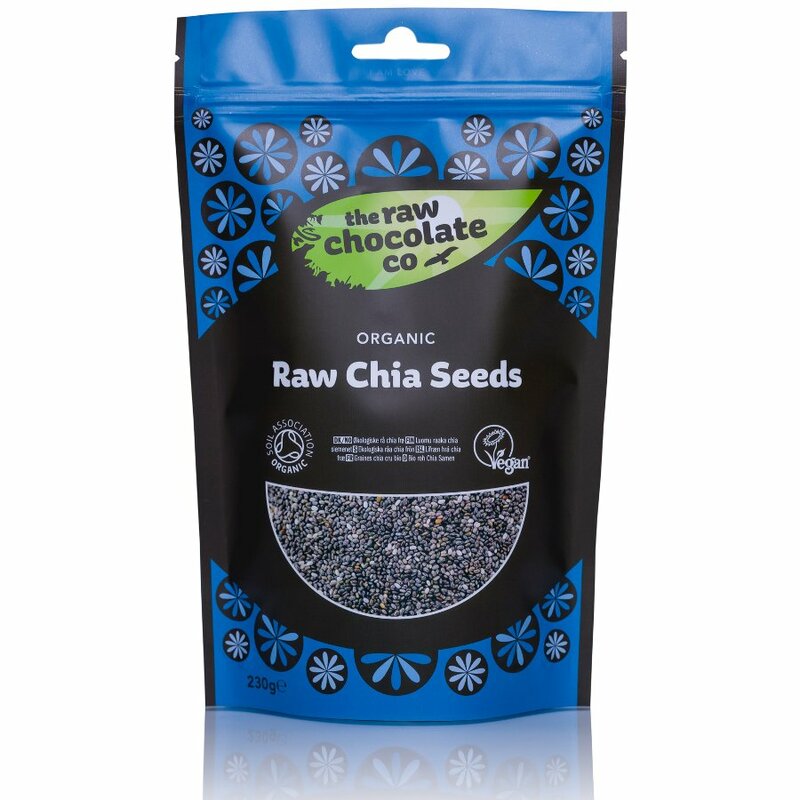 The The Raw Chocolate Co Chia Seeds - 230g product ethics are indicated below. To learn more about these product ethics and to see related products, follow the links below. 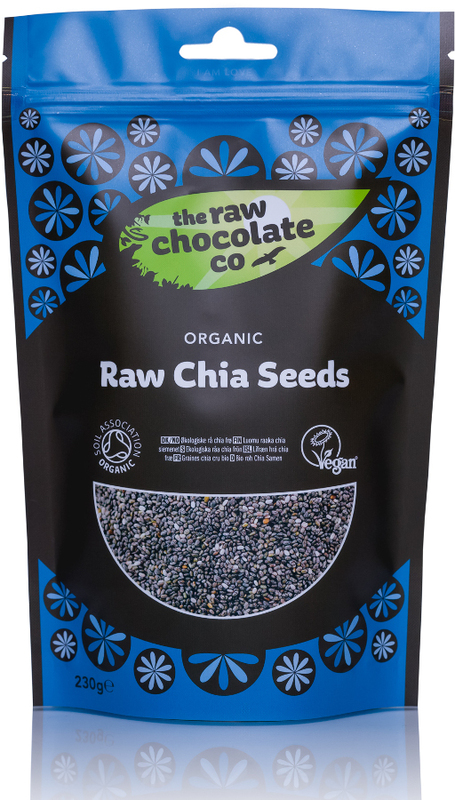 There are currently no questions to display about The Raw Chocolate Co Chia Seeds - 230g.